offroadTB.com • View topic - What did you do to your GMT today? Re: What did you do to your GMT today? A little front end work. 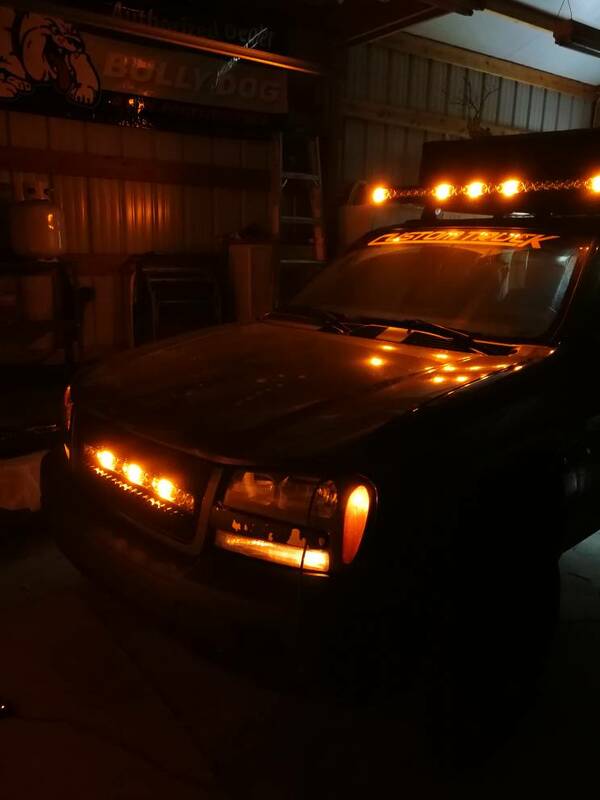 Cut the wings off the old grille for headlight filler pieces, cut a hole in the new open faced lt grille, and mounted light bar to the steel bumper. The bumper, grille and wing pieces will get sprayed with bed liner at work. Completed some wiring as well. It's all slowly coming together! 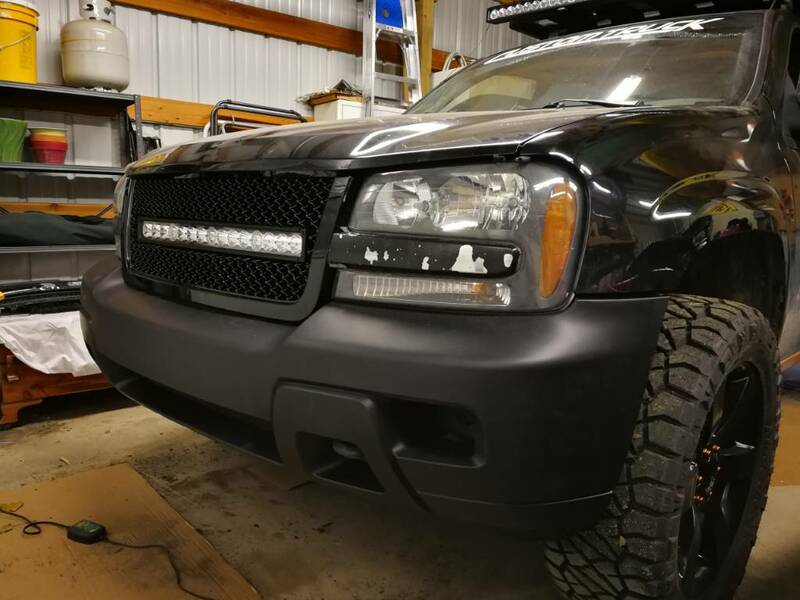 That grille looks cool Craig. Is that just an envoy grille? Or some aftermarket? 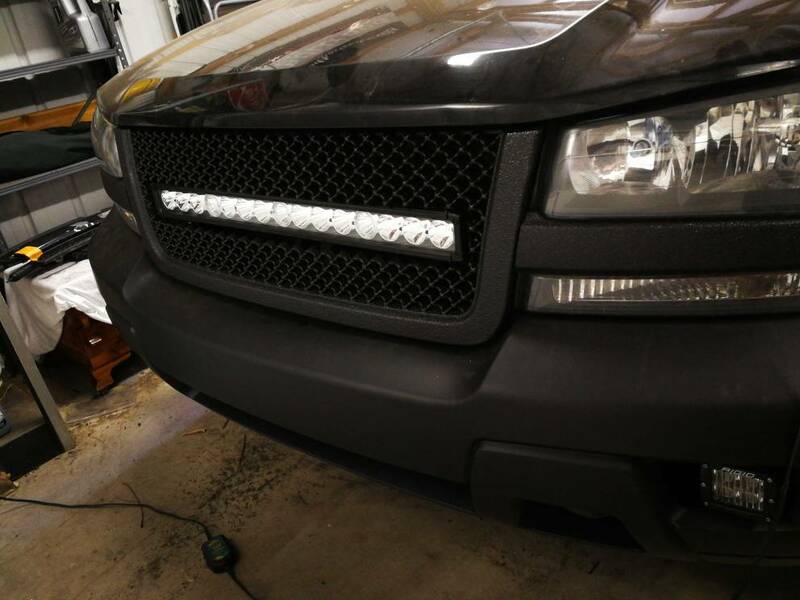 Trail X wrote: That grille looks cool Craig. 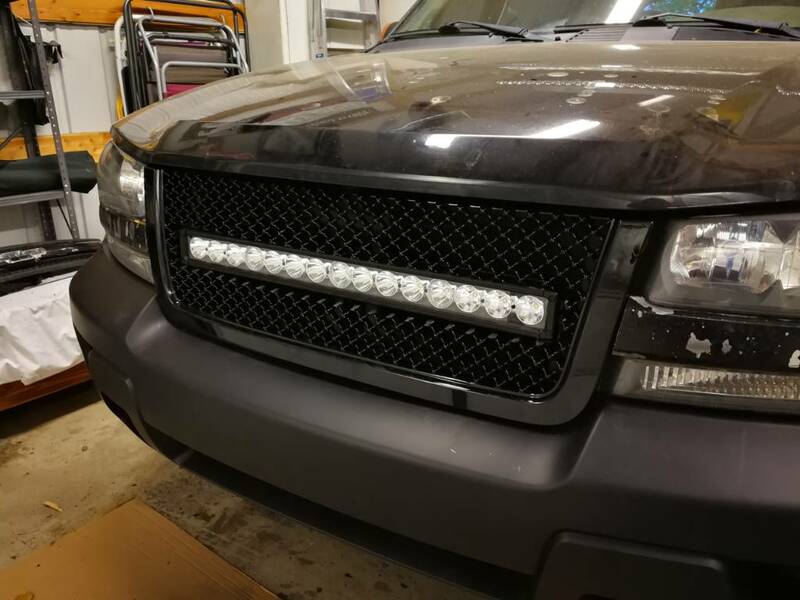 Is that just an envoy grille? Or some aftermarket? Few more goodies coming in the mail. 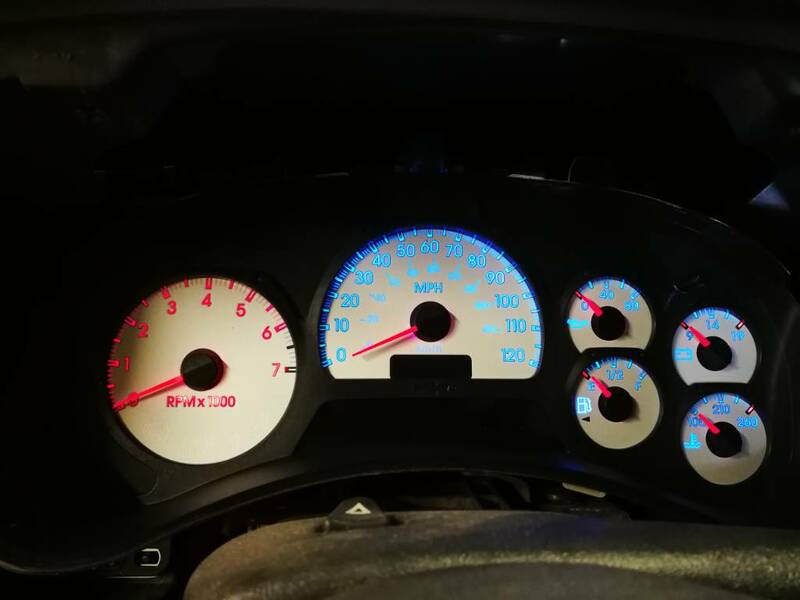 Got a new gauge cluster coming with new motors and custom leds, and a Gibson exhaust as my current cheap exhaust shop setup is rusting and falling apart. Should get is all by next week if the holiday doesn't mess with shipping, haha. I replaced the rear wing 3rd brake light cover, blower motor relay,painted my rusty trailer hitch, painted the rear wiper arm and steam cleaned my interior. Sprayed my grille and headlight wings with liner yesterday at work. Yeah, I still really like that grill combo you have. Yikes. That looks like no fun. Might have been better off going in the middle, instead of off to one side like that. Haha mason. 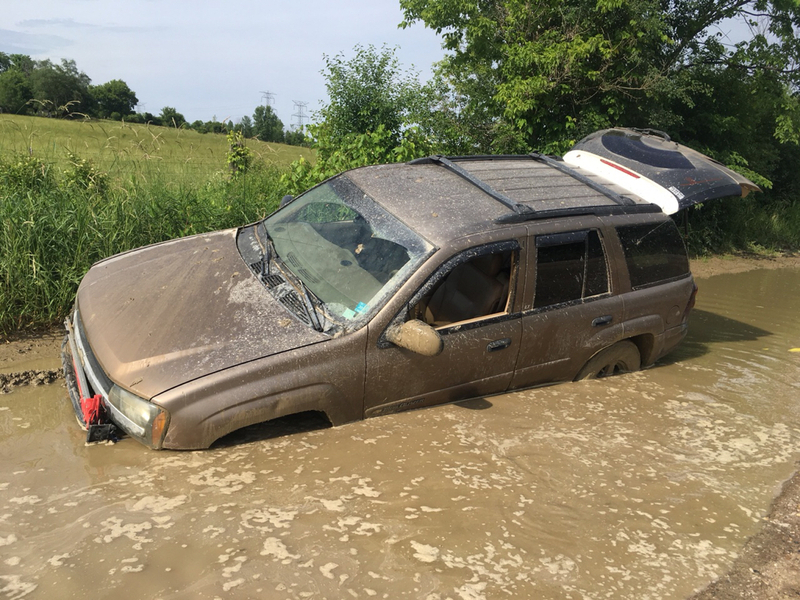 That’s why I am avoiding mud until I get my snorkel. I didn’t go into the middle because then my air intake would have been on the deeper side. Re-installed my pcm4less e-fan kit(pulled out 2 years ago as part of my search for my mysterious power drain), installed Hayden 678 trans cooler, and finally installed my pcm4less Big 3 kit that I had laying around for the last 10 years. Scored a Wilco Hitchgate Solo from my old place of work. It was the showroom display so its practically brand new and got it for $75! Old boss called and asked if I wanted it. Couldn't turn it down for that price. ^ What he said or check out YouTube, but it's a hitch style swingable spare tire carrier. Extremely beefy, no wiggle or rattle at all like cheaper carriers. Normally around $800 and scored for $75. I should have my spare ready and on it middle of this week and will post a few photos.